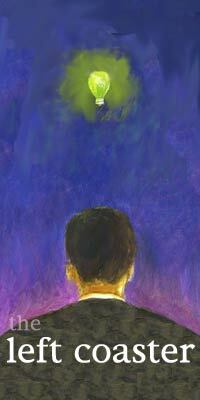 by larre I have the greatest respect and admiration for Jane Hamsher, Firedog Lake, and its readers. I count myself among the most loyal of those readers. But Jane, Jane, Jane! You missed a big, fat hanging curve ball over the plate Tuesday evening with your post "Here We Go Again." Your recent at-bat started out just fine. Good stance. Great eye. Excellent patience. Terrific swing. You took the count to 3 and 0 and it sure looked like you could hit another home run off WaPo's right-wing pitching staff. But then you let that big, inviting plate of mashed potatos slide right by. It might have been a home run. But you didn't see it coming. First pitch: Hamsher confidently steps into the batter's box. She taps her hilarious bat on the plate with an easy confidence. WaPo's unseasoned pitcher, David Nakamura, steps on the mound and nervously sips from the same Kool-Aid prepared by manager Jim Brady and right-hand curve ball pitching coach Fred Hiatt. "The first pitch of the Washington Nationals' second season at Robert F. Kennedy Memorial Stadium was low and away... ."
Actually, it looked more like a Chickenhawk girlie pitch bouncing in front of the plate. Still, it was a good take, Jane. Ball one! "For that, Vice President Cheney received a round of boos from the home crowd this afternoon." In the batter's box, Jane sneers. She speaks just loudly enough for the umpire to hear. "The booing started when Cheney walked onto the field... ."
It's another good take by Hamsher. Ball two! "[T]he video at the Post’s own site (also at Crooks & Liars)... [shows] booing ... was not in response to a crap pitch. It was in response to his crap Vice Presidenting." A great athletic move by Hamsher. Ball three! With the count now 3 and 0 and the bases loaded, it looks like WaPo's team weakenesses are about to be exposed again. Nakamura will have to feed something into the center of the strike zone. Something Hamsher surely will hit out of the park. "You know the drill.. ombudsman@washpost.com ... We can keep this up as long as they can." As she turns back to face Nakamura, Jane fails to realize that he's been preceded on the mound. Fourth pitch: Previously pitching for the WaPo Bush-lickers is none other than Dave Sheinin, and he's already answered reader questions direct from RFK Stadium! "Metro Center: So, Dave, are you at RFK? What was Cheney's reception like? "Dave Sheinin: Cheney got some of the loudest boos I've heard in this stadium -- even worse than Pedro Martinez during pregame introductions." What's that? Having been in the bullpen all this time, Sheinin somehow forgot to drink the WaPo Kool-Aid? 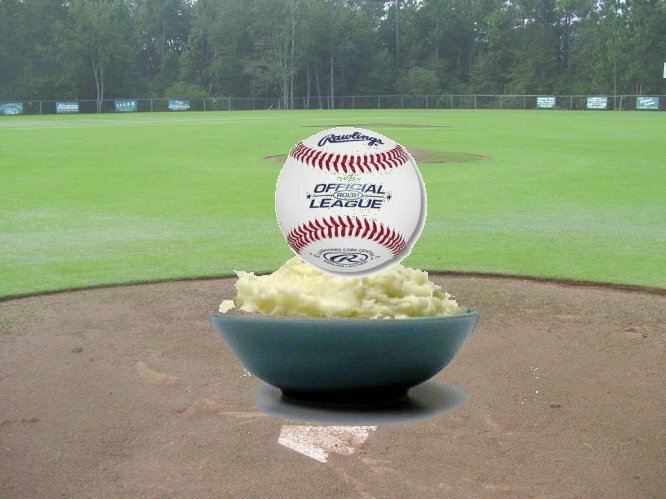 He's tossed a big, fat lazy curveball at Hamsher, "a plate of mashed potatoes" as they say. And it's just begging to be hit out of the ballpark. Hamsher's seen this kind of pitch before. In fact, it's nearly an exact repeat of Sunday's editorial disaster when Fred Hiatt forgot to read his own newspaper's front page and Jane hit that one into the next county. Sorry to say, but Jane missed it this time. She didn't realize that in addition to Nakamura's unwillingness or inability to throw pitches somewhere near the truth, he didn't read his own colleague's account of the same event written hours earlier! Not reading -- or at least not believing -- their own newspaper seems to be the WaPo game plan. Jane is left flat-footed in the batter's box, her bat still upon her shoulder. The slow, inviting pitch slides right on by. To be sure, it was another ball. Jane walks in the winning run and Firedog Lake beats the Washington Post once again. But it sure would have been nice to see another home run. larre :: 10:02 PM :: Comments (7) :: TrackBack (0) :: Digg It!